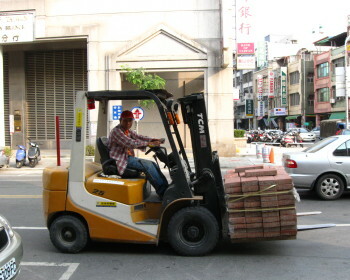 Well the starting salary for a forklift operator is between £12,000 and £15,000 per year. The more experienced you are at your job will see your salary soar, the more experienced operators can expect to be earning between £16,000 and £21,000 a year. Of course there is the option of overtime which will see your wages go higher and some forklift operators may also receive shift work and also night work allowances. You may also receive bonus schemes which may also apply to you. Remember though that these figures are a guide and your salary may be above or below these amounts. When you’re working as a forklift operator you can expect to work between 37 and 42 hours per week. You may have to carry out shift work which may include evenings and of course there is always the option of overtime as well. You will be mainly working indoors for instance in a warehouse or a factory environment or maybe outdoors in a yard, airport or port. The more experienced you become could see you being promoted which will enable you to become a team leader or a shift supervisor. Then with even more experience you could work as a maintenance engineer or maybe a forklift instructor.